Be clear about what your priorities are for your child’s preschool experience. Evaluate any potential daycare facility in terms of those priorities. Every child is different. 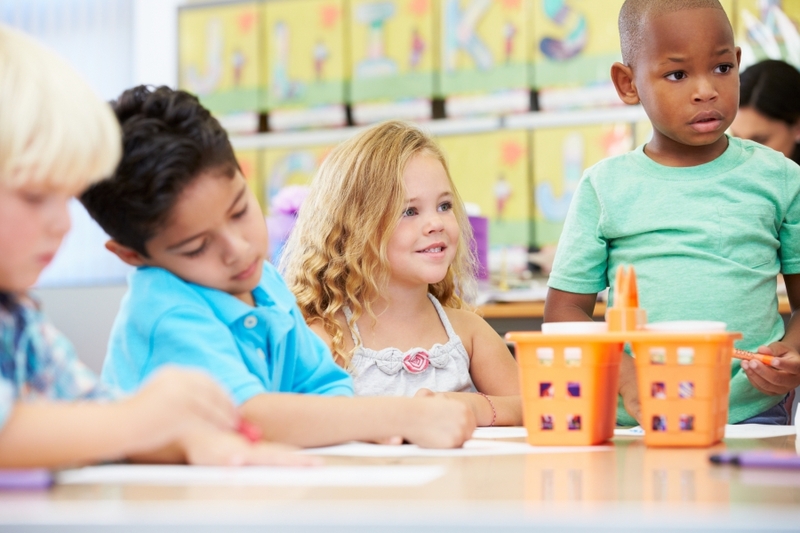 Some may need help developing new social skills, while others need to focus on motor skills or speech skills to make sure they are ready for kindergarten. Talk to any potential day care centers about your priorities and make sure they are equipped to give your child what they need. There are generally four measurements of school readiness. In addition to evaluating the school’s ability to address any areas where your child may need a little extra help, make sure you understand how they prepare children in each of these areas. Motor skills and physical well-being. Literacy preparedness and language development . General knowledge including introductions to math and science. How is your child’s progress toward school readiness assessed? Are assessments based on each individual child’s starting point and capabilities? Or is there one standard that is applied across the board? Any assessment of your child’s readiness for school should be tailored for them. Some children will have excellent motor skills but need more social preparation for school, while others may already be reading but still need to develop some basic emotional coping mechanisms. No two children are the same, and they shouldn’t be evaluated as if they are. We believe that it is important for preschools to involve parents in their child’s developmental program. If you are discouraged from offering insights or collaborating with teachers and caregivers, we would consider that to be a sign that you should keep looking for the right preschool. What kind of food are your preschoolers provided during the day? We believe healthy food is an integral component to your child’s development. You won’t find a lot of heavily processed and packaged foods here. You’ll find fresh and healthy food that your child will enjoy and look forward to. No one likes to think of their child behaving badly or getting into trouble. Unfortunately, that’s just part of growing up. One of the most important conversations to have with any potential preschool is about how they handle discipline. Do they use conflict resolution tactics to create learning opportunities and help children develop emotional and social skills, or do they just punish perceived bad behavior? Make sure you understand the impact that the caregiver’s disciplinary approach can have on your child’s well-being and development. Ask for references. Speak with parents of children whose children have been in the preschool program for a year. Speak with parents of children who are new the program. As them about their experiences in each of the areas mentioned earlier in the article. Be sure to ask them about their favorite parts of the program, areas they feel could be improved, and what evidence they’ve seen in their own children, that give them confidence that it is the right place for them. Find out if the school follows a particular curriculum or educational philosophy. This can provide a good touchstone for evaluating how your child is doing in the school over time and if it really is the right place for them. If, for instance, the school focuses on play as learning but your child doesn’t seem to be experiencing the social and emotional developments you would expect from this kind of environment, perhaps a different school may be a better fit. At the very least, you’ll want to speak with your child’s teachers and find out if and how they can address your concerns. We hope you’ve found these tips helpful. When you are ready, we hope you’ll stop by The Cary School for Development and Early Education to meet our wonderful team and learn about our preschool program. We look forward to meeting you and your child.